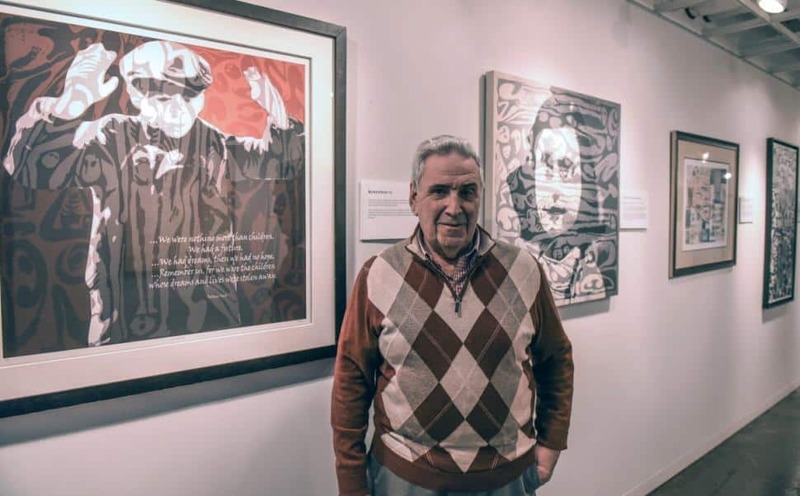 After multiple careers in education, politics and community service, Arthur Flug found his true calling as executive director of the Kupferberg Holocaust Resource Center and Archives at Queensborough Community College. It was 2006 and he was 67 years old. Flug, who helped transform the center from a basement library to a interactive learning lab on tolerance, is retiring at the end of the year after overseeing a multi-million dollar renovation and program expansion. Retirement does not come naturally to Arthur Flug. The 75-year-old is stepping down from his post as executive director of theKupferberg Holocaust Resource Center and Archives at Queensborough Community College at the end of the month. But he will still keep a watchful eye on the center he has sheparded for almost 10 years. “There are some projects I want to see completed,” said Flug, a longtime Queens resident who helped transform the center from a basement library into a renowned interactive learning lab on tolerance. After 30 years in the New York City public school system, Flug went to work for then-Rep. Gary Ackerman. He also volunteered for the Israeli Army before finding his dream job at the center at the age of 67. “I finally figured out what I wanted to do when I grew up,” Flug said with a laugh. As the number of Holocaust survivors dwindle with time, the mission to save their stories is more important than ever, Flug said. He works with students who interview Holocaust survivors and archive their stories, reminding them they are “insurance policies” so history is not forgotten.